Such is the perpetually chirpy atmosphere at PCGamesN – Tim ‘Bombadil’ Edwards, we call him – that it’s difficult to sustain a tone of sarcasm until the end of one sentence without giving way to giggling hiccups of glee. But by jove if Borderlands 2 antagonist Handsome Jack doesn’t just keep on going for the whole minute and a half of this class-focused trailer. If sarcasm is the only vehicle by which Gearbox can describe its ragtag band of cliches with a straight face, I’d call that a problem. 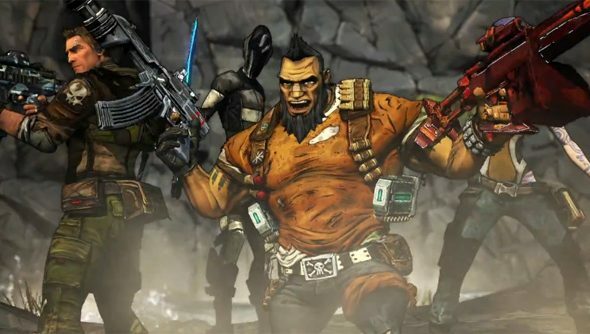 Regardless, each archetype is far enough removed from its closest neighbour that the interplay of Borderlands 2’s classes looks like an awful lot of fun. There’s nothing to be done about it now anyway, as Borderlands is finished– the game is making its way through the slow tubes of console certification, andall hands at Gearbox have already been washed ready for release on September 21.